The Rachel Barton Pine (RBP) Foundation is on the forefront of addressing the missing link between talented young string players and their ability to achieve their dreams. Now in our 11th year, we have some amazing success stories to share, as many of our recipients have transitioned from talented students to young artists on the brink of their careers to becoming fully established professional string players. 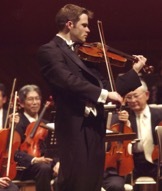 One of our first Instrument Loan Program recipients, Eric Nowlin, received the use of a 1700 Gofriller viola in 2004. An instrument of this quality allowed him to fully express his artistry, leading to his receiving Second Prize in the prestigious 2006 Naumburg Competition. He subsequently won the position as Associate Principal Violist with the Toronto Symphony, giving him a steady income which enabled him to purchase a high-quality viola of his own. In addition to playing in the symphony, Eric is also on the faculty of the University of Toronto and is the violist of the New Orford String Quartet, one of the most acclaimed young ensembles in Canada. We are proud to have played an important role in helping to launch Eric’s exciting career. Eric’s relationship with the RBP Foundation continues … as one of our generous patrons! The modern viola that Eric played during his college years is on loan through the REB Foundation to Bora Kim, a talented teenage violist. We look forward to watching Bora’s career as she continues to grow and develop. The 1700 Gofriller viola that Eric once played is now on loan to Matthew Lipman, one of the most gifted young violists of his generation. Only 20 years old, Matthew already has a biography filled with awards and performances that would be impressive for someone twice his age. In 2012 alone, he won First Prize at the Washington International Competition, Stulberg International Competition, Juilliard Concerto Competition, and the First and Grand Prize at the 2012 WAMSO Young Artist Competition. Matthew has soloed with numerous orchestras and has performed at Ravinia, Music@Menlo, and with the Chamber Music Society of Lincoln Center. He also appears as a guest artist on Itzhak Perlman’s new album “Eternal Echoes. Matthew’s background is an unlikely one for such an accomplished young artist. 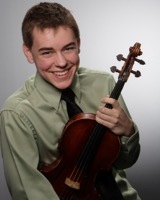 He grew up on the far south side of the Chicagoland area and began viola lessons in public school in the fourth grade. His talent and hard work quickly caught the attention of the music world and led to scholarships for his lessons. Matthew’s father currently works part-time for minimum wage and his mother is dealing with serious health issues. In addition to being supported by the RBP Foundation’s Instrument Loan Program, Matthew has also been a recipient of our Grants for Education and Career, which helps him with costs that neither his family nor his scholarships can cover. Some of these expenses have included instrument maintenance, airfare to concerts and competitions, sheet music purchase, and audition recording sessions. There are so many more stories to share: violinist Karla Donehew-Perez is currently playing in the Catalyst Quartet; violinist Joanna Frankel is the new concertmaster of the KwaZulu-Natal Philharmonic Orchestra in Durban, South Africa; double bassist Henry Chen joined the faculty of Ball State University… the list goes on. Thanks to our generous supporters, the RBP Foundation has helped so many young artists. With your help, we look forward to continuing our important work for many years to come. The number of applications we receive from deserving young string players increases every year. The future of classical music depends on supporting talented students and young professional musicians during the early, formative years of their development. With your help, these young artists will inspire the next generations as they provide the world with many years of beautiful music. Your gift is truly the gift of a lifetime. 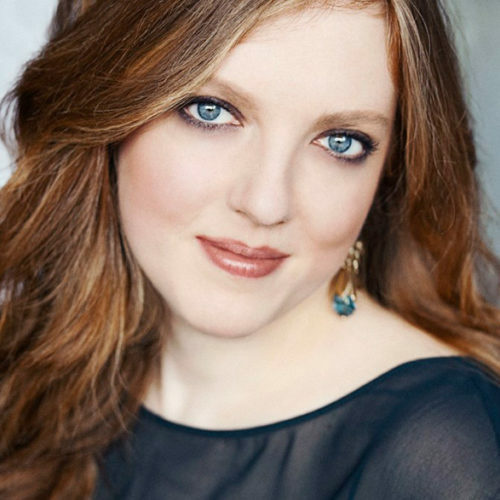 Rachel Barton Pine is a world-renowned American violinist and the founder of the Rachel Barton Pine Foundation. See her full bio on the Founder page of the RBP Foundation website.